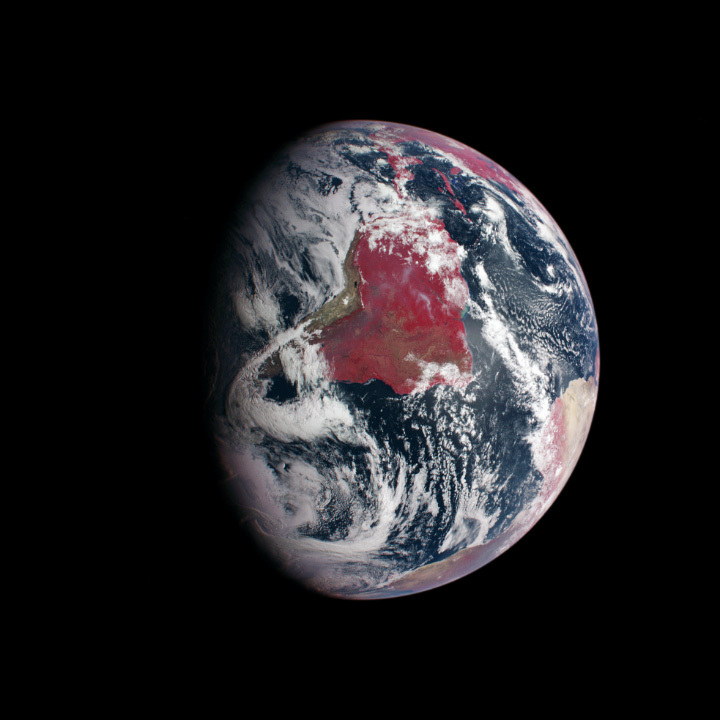 NASA Visible Earth: Why is the Amazon Forest Red? 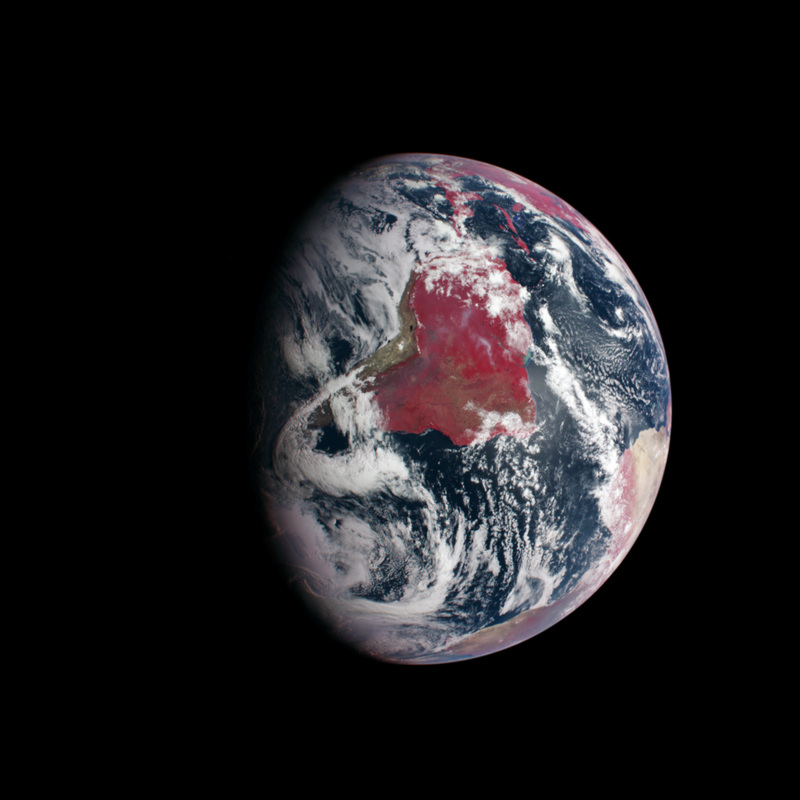 Why is the Amazon Forest Red? (NASA image based on data from the Mercury Dual Imaging System (MDIS) on Messenger. Yellowstone photograph courtesy National Park Service.) Caption by Holli Riebeek. On August 3, 2004, NASA’s Mercury Surface, Space Environment, Geochemistry, and Ranging (MESSENGER) spacecraft began a seven-year journey, spiraling through the inner solar system to Mercury. One year after launch, the spacecraft zipped around Earth, getting an orbit correction from Earth’s gravity and getting a chance to test its instruments on a familiar planet. The top image is a view of South America and portions of North America and Africa from MESSENGER’s Dual Imaging System’s. The wide-angle camera records light at eleven different wavelengths, including visible and infrared light. Combining blue, red, and green light results in a true-color image from the observations. Apart from getting a clearer image, the substitution reveals more information than natural color. Healthy plants reflect more near-infrared light than stressed plants, so bright red indicates dense, growing foliage. For this reason, biologists and ecologists occasionally use infrared cameras to photograph forests. The second photo shows Mount Sheridan in Yellowstone National Park in infrared light. Healthy pine forests are bright red, while less healthy trees are very dark. 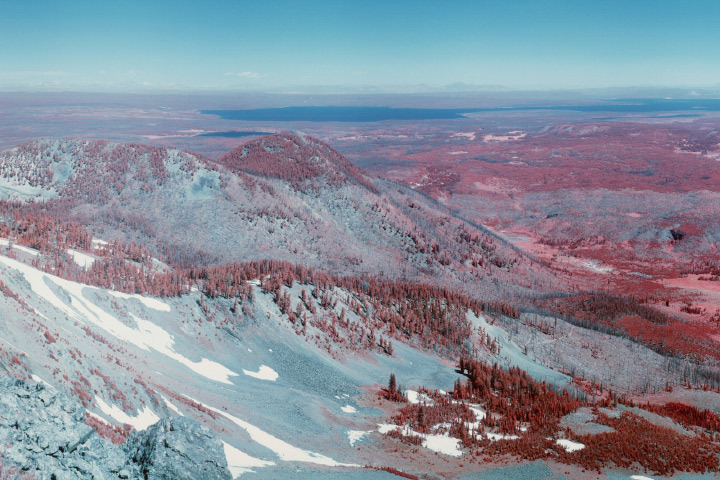 To learn more about how scientists create images from both visible and infrared observations, read Why is that Forest Red? How to Interpret a False-Color Satellite Image.